Kenton Lee hit a rough patch in 2007. His girlfriend dumped him. He took it hard and finally decided that he needed to go to Africa — both to see and experience the world he had only read about up to that point and because he couldn’t stomach the idea of being on the same continent as his ex. 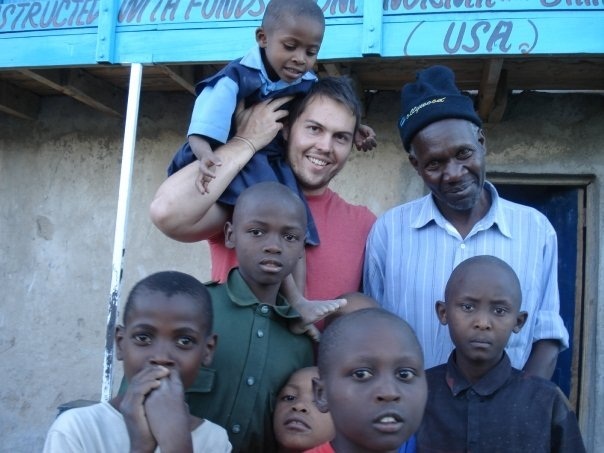 He found himself volunteering in an orphanage in Kenya. Helping to care for the kids healed his wounds. And gave him a vision for his life — that he never expected. You can imagine the conditions. The orphanage was poor, but doing the best it could. Providing for one child is expensive — much less providing for 100 children. One little girl caught Kenton’s attention. The heels and toes of her shoes had been cut out. She had outgrown the shoes, and the orphanage had no money to buy new ones. If you only have one pair of shoes, doesn’t it make sense that the shoe should be able to grow as your foot grows? Over the next few years, Kenton tried to give the idea away to an organization that could bring it to life. He contacted every major shoe company he could think of. No one was interested. They all told him it wouldn’t work. They told him to give up on the idea. Kenton finally tried to make his own prototype — using old shoes he bought from a thrift store and the materials in his garage. He had played a lot of baseball as a kid. The baseball cap designs inspired him. He thought the shoe should use the same kind of hole and peg system to allow the shoe to adjust. But the prototype helped him make contact with a small shoe design company that loved the idea. One year and 100 design concepts later, Kenton and the design company landed on a solid design that allowed the shoe to expand both in length and width. They made a real prototype, which they continued to tweak. In 2013, Kenton and his new wife took 100 pairs of shoes that grow to Kenya to let the orphans he had worked with test them. He knew the concept would work, because he had lived with the need firsthand. He knew what the kids went through. He knew the conditions the shoe would need to endure. He knew what an impact the shoe that grows would have on the lives of the orphans. It didn’t matter that others told him to give up. It didn’t matter that others told him it wouldn’t work. It didn’t matter that it took years before he found someone who could and would help. 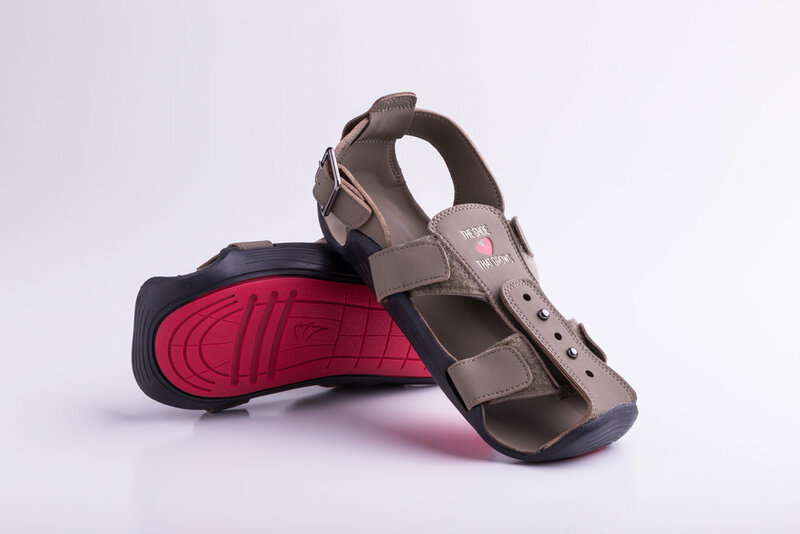 Kenton has now distributed The Shoe That Grows to approximately 112,500 orphans and low-income children in 91 countries. 1. Dismiss the haters. Success doesn’t come overnight. Kenton admitted that had he not spent time with the orphans, he probably would’ve given up the first time someone told him the idea wouldn’t work. But because he had lived the experience, he knew the right idea would work. He felt it in his core. That gave him the strength to dismiss the negative comments he received. Keep the vision. Even if it takes years. 2. Surround yourself with people who can help. Kenton found people who understood shoe design and could take his thoughts to the next level. You don’t have to be the designer — you can just be the idea guru. Even though the idea is great, you also need people who understand business to keep things moving. Kenton’s best friend, Andrew Kroes, took over running the business and making sure they stayed afloat. Find the people who can help you so that you can remain focused on the vision. Listen to the people who will use your idea. In this case, that meant the children, orphanage directors, school teachers, and parents. This is an important attitude to adopt. Be willing to learn and adapt to the needs of your target audience. Then you can create something that will make a difference. What ideas have you been batting around? Have you been told that it’s a bad idea and you should give up? Do you still believe in your idea? Who can you go to for ideas and help to bring your vision to life? When Kenton started, 0 people believed in his idea. Now over 100,000 children, shoe designers, contributors, volunteers, employees, and fans believe in his idea. As a side note… If you’re interested in this cause, you can learn more about The Shoe That Grows and how you can get involved.